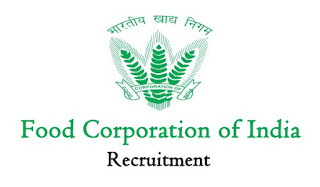 FCI Jobs Recruitment Notification 2019.Food Corporation of India, FCI inviting applications for the positions of Junior Engineer, Steno, Assistants.In Northern Zone, South Zone, NE Zone, East & West Zones the positions will be filled.Interested and Eligible candidates can apply for the positions. Last Date for Submission of Application is on March 25th, 2019. Total 4103 positions are to be filled in FCI. Zone wise vacancies are as follows.